Iowa State University graduate student Katie Anthony knows cyclic vomiting syndrome is no party. The syndrome, commonly known as CVS, sends a sufferer into a cycle of vomiting a minimum of seven times every hour for the next 12 hours of his or her life. 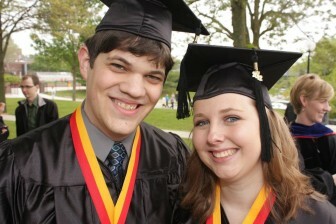 Katie Anthony and boyfriend, Ben Lucas, graduating from Simpson College in 2012. Anthony, who has cyclic vomiting syndrome (CVS), is a graduate student at Iowa State University now. For four or more days at a time, Anthony puts the journey to a master’s degree in journalism on hold, missing classes, work time and contact from the outside world as she vomits multiple times each hour – the highest level has been 16 times an hour. After 48 hours, Anthony is in an emergency room, battling dehydration, pain, and once, so much pressure on her brain she was at risk for stroke. For some students, being sick is a major hurdle to clear while getting a college degree. For still others, it’s everyday life. This leaves colleges and universities with challenges, dealing with student disabilities rarely encountered but which drastically impacts the amount of engagement students can put into courses. The impact is felt with relatively unknown syndromes like CVS, which Anthony manages for several days at a time. Approaching graduate school at Iowa State for faculty accommodations took some strength on her part, Anthony said, because she knew her disease sounded – and looked – unbelievable. The challenge is familiar to Grand View University senior Cheyenne Goode, 22. A theater major, Goode’s postural orthostatic tachycardia syndrome (POTS) and the accompanying depression, chronic daily headaches and fibromyalgia has disrupted her daily routine for the past six years, changing the way she approached finding colleges while in high school. Goode began approaching Grand View and her professors for classroom accommodations after encouragement from her specialist at Mayo Clinic. 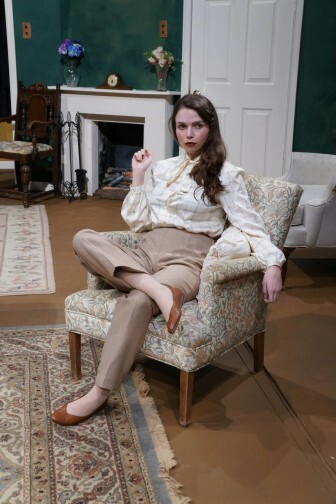 With time, she depended less on student disability services oversight and now works closely with her academic advisor for the non-traditional theater courses she takes. During her four years, Goode said, only one professor was unwilling to adjust to her needs. University of Dubuque sophomore Amanda Harrop also lives with POTS but with some key differences from what Goode faces. A Clinton native, Harrop said she doesn’t remember much of her senior year of high school; for some of it, she wasn’t even awake. For nearly two years from senior year into college life POTS controlled her daily schedule and knocked her into a coma-like state for up to an hour and a half at a time. At its worst, Harrop estimates she attended only a day and a half of high school each week of classes. “My life was pretty much waiting to lose consciousness,” she said. Harrop had been free of those episodes for 10 weeks in mid April 2015 but was living and working with the cloud of chronic exhaustion. To combat it, Harrop worked with her college advisor to schedule all of her classes during the morning. “You’re supposed to take three lab classes, but I really only take two in a semester,” Harrop said. “I can do mindless homework and feel pretty crappy, but you can’t really go to lecture feeling crappy. Autism is gaining public awareness but more understanding of those students and their needs is necessary, Buena Vista University junior Jacob Amhof said. 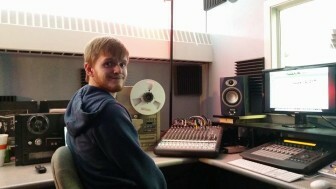 Buena Vista University junior Jacob Amhof in a vocal recording booth at school. He is seeking a vocal performance and music production double major while also dealing with autism. “Autism is really nothing to be ashamed of. Sometimes, it can be a great gift,” said Amhof, 21. That doesn’t mean dealing with it is easy. Amhof was diagnosed at 9 years old after struggling to communicate through most of his childhood, avoiding eye contact and staying silent in front of others. Through doctor visits and therapy Amhof has made progress, but still works to pick up on visual cues that others notice naturally. “That’s why I ask a lot of questions as to what people are feeling, what they’re thinking,” he said. Things like the speed of class lectures can hinder Amhof’s ability to absorb the content, and not every professor understands. Amhof asked one professor to write key points during lectures on the whiteboard so he had time to take notes, but said the professor declined to do so. Through accommodations with Buena Vista’s student services, Amhof said he is allowed extended times for tests and can take breaks from class when he feels overwhelmed. He also is cleared to have a fellow classmate take notes although, aside from his experience with one professor, he hasn’t needed to rely on note takers. Iowa Central Community College and now Buena Vista, have helped Amhof, from Fort Dodge, adjust to living on his own. Seeking a double major in vocal performance and music production, the formerly uncommunicative student said he is passionate about making a career in the entertainment industry, such as in voice acting. Autism, Amhof said, might be a disability but it doesn’t have to hold anyone back. “I actually think there’s a lot of good traits,” he said. Living with an invisible illness often means more work to maintain grade-point averages and class assignments. Students with illnesses still need to deal with attendance policies and sometimes limited days. Iowa State’s Anthony can explain what limited good days are like. Although her syndrome is thought by specialists at Mayo Clinic to have started when she was 17, Anthony already had graduated from Simpson College with a bachelor’s degree in multimedia journalism by the time she was diagnosed at the Rochester, Minnesota, medical center in August 2014. 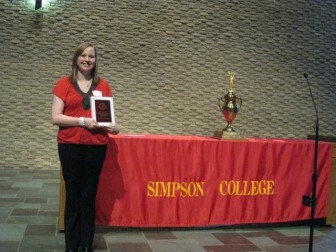 Katie Anthony, displaying her outstanding multimedia journalism student 2012 award at Simpson College. Soon after, she withdrew from Iowa State under medical leave but returned at the start of the spring 2015 semester as a part-time student and teaching assistant. To date, she estimates she’s missed almost half the term. Belmond native Aimee Loats, a sophomore at Simpson College, doesn’t have any outward sign of being sick, but living with Crohn’s disease has impacted her life drastically since she was 10 years old. One bad day of Crohn’s easily can turn into a few days of being bedridden. During hard times, Loats, 20, estimates she misses three to four classes a week. That makes maintaining class assignments and laboratory work for her biology major demanding when most labs are covered only once in a semester. Missing material adds up. By November 2014, Loats was so sick she was unsure she could make it through the end of the fall semester. 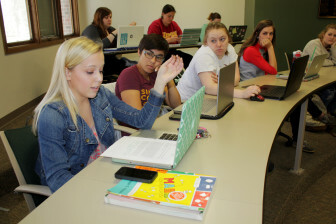 Aimee Loats, a sophomore biology major at Simpson College in Indianola who suffers from Crohn’s disease, shares an assignment with the rest of a Communications 101 class on April 13, 2015. The class is an introduction to communications and media studies. After talking it over with Simpson officials and friends, Loats decided to take a medical leave. She returned in January 2015 as a full-time student but had to consider seriously whether or not her field of study would be too much to handle in the future. Some student disability services work with students to identify and manage housing accommodations – flexible arrangements that can range from physical requirements, like a building with an elevator, to dining plans and what their food plan looks like. Most students living with illness or disability have to ask for academic accommodations, with which school faculty members are expected to work with students and a list of accommodations provided by disability services. That list ranges from in-class note takers to extended testing times. One request went wrong from the start for Abby Gardyasz, a freshman majoring in art and Spanish at the University of Northern Iowa. Gardyasz, 19, of Ankeny, lives with juvenile arthritis that was diagnosed when she was 18 months old. Characterized by inflammation of joints, stiffness and chronic pain, Gardyasz tires quickly during the day as she balances classes, work study and volunteering through the local Catholic student center in Cedar Falls. The relatively small size of UNI’s campus means she can walk distances between classes. But an unexpected staircase to her requested first floor residence hall room provided a challenge on move-in day in fall 2014. That one oversight affects much of her daily life, from returning home after a bad day, leaving for meals, and having enough stamina to do laundry when those facilities are on a separate floor. “At the very least, it’s frustrating,” Gardyasz said. Housing accommodations are a typical request. Harrop worked with the University of Dubuque to find a living space that worked with her strict symptom management lifestyle, from her scheduled meals and snacks, which keep her blood sugar at a normal level, to her 9:30 p.m. bedtime – a sleep schedule that directly conflicted with many of her fellow residents in the freshmen dormitory. Three months into her first year, Harrop moved to housing for upper-classmen to cut down on noise at night, in turn cutting down exhaustion. Although she rooms with four other students, her single room enables her to better control her days. “I don’t deviate from that schedule, because if I do I have very severe consequences,” Harrop said. Some students in Iowa take on the daily effort to function when sick where treatment is not always closely available. Originally interested in attending the University of Minnesota, Loats, who receives infusion treatments 30 minutes from Simpson at a clinic in Clive, had to make a decision about college. Insurance is a concern, too. By the time Anthony begins her fall semester, she’ll be adjusting to a new insurance plan for Iowa State’s graduate students after transferring from her father’s insurance. The transitions will be stressful: Anthony, an Ankeny resident, will move all her health care from Methodist West Hospital in West Des Moines, where doctors know her and her illness, to new doctors at the ISU student health center in Ames. That could produce up to a 40-minute drive when she is in Ankeny for every emergency room visit at Mary Greeley Hospital – a problem compounded by her typical vomiting cycle, which generally makes her sick between 6 p.m. to 6 a.m.
“It’s going to work out better when I’m sick in class and have to go to that emergency room, but other then that it’s going to be very stressful, especially when I’m sick at night,” Anthony said. Beyond the logistics of living with hidden illnesses – the classwork, the daily management – a sense of loneliness exists. So does a sense of personal stigma. Being able to say no to extra work or activities is a major part of pain management for Gardyasz. Although she is able to push herself on some days to try something like the campus rock-climbing wall, more often then not Gardyasz finds herself on the sidelines of those physical activities. “Not having the energy or stamina that some people seem to have can be difficult,” she added. That sense of isolation strongly impacted Amhof during his start at Buena Vista when, he said, he contemplated suicide after initially struggling to connect on campus and adjust to his new classes. Amhof’s initial protectiveness of his new friends – he says he couldn’t stand it if anything happened to his friends because of him – took them aback, he said. He also said he worried that he was being ignored when someone seemingly overlooked him on campus. 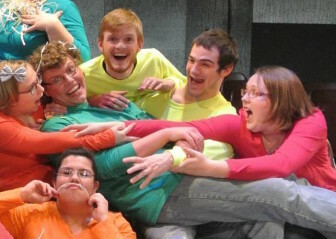 Jacob Amhof (top center in the yellow shirt) and his classmates in the variety play ‘Fused & Fraid’ that the Buena Vista University students wrote and produced. “I just felt like everyone really didn’t like me, so what was the point of living?” Amhof said. It took a conversation with a student residence advisor for Amhof to recognize his importance in campus life, and he said he feels passionate about his involvement in groups and organizations. 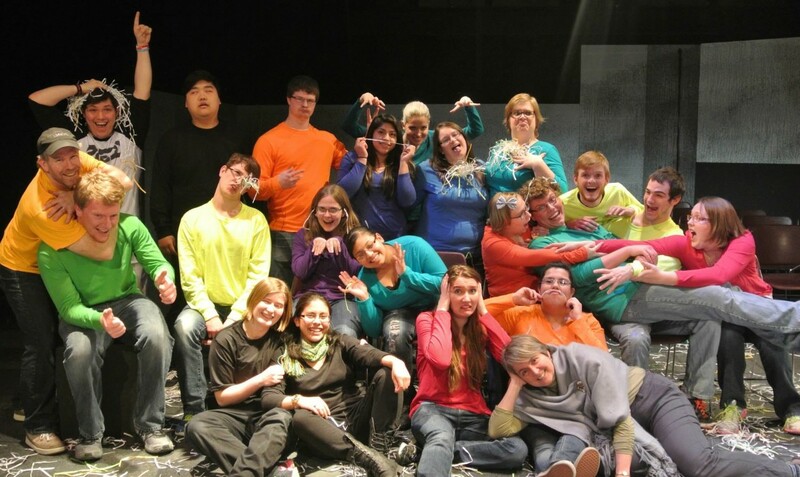 He’s found friends in students on and off the autism spectrum on campus. Katie Anthony is sick of the drugs her body is grown dependent on to keep her vomiting at bay. The stream of doctors exhausts her. On some days she argues with family members over the treatment she seeks. But one thing is non-negotiable: Anthony said she will earn her master’s degree, and someday she hopes to teach undergraduates who are fighting their own medical battle. 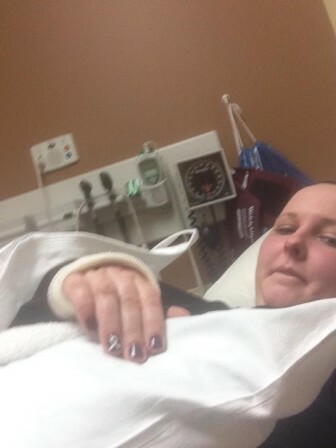 Katie Anthony recovers in a hospital emergency room with a broken wrist in this undated photo. “The reality of it is I would be dead now if I weren’t doing it – striving to be better, and to do better, and to positively affect change in my life and the lives of others, which keeps me going,” Anthony said. That passion propelled Anthony into the next major step of her fight. In March, she was accepted for the wait list for the Powell Chemical Dependency Center, an inpatient dependency program at the Iowa Lutheran Hospital in Des Moines, where she hopes to restart her body and cut down on the drugs on which she relies. “That’s what my body is right now, it’s dependent on all of these drugs. Unfortunately, a lot of them are affecting my brain chemicals, and I can’t safely come off of them without being under constant medical care,” Anthony said. She expects to spend 60 to 90 days in the program in summer 2015 before returning to school next fall. “I’m going to be mingling with people with kidney and liver failure. And that’s what my life is facing if I continue on these drugs that I’m taking one to four to six times a day,” Anthony said. When Donna Musel started work as Buena Vista University’s disabilities coordinator only two students with illnesses requested classroom accommodations to help them do their college studies. “Now I have quite a few more than that,” Musel said this spring. This report was a spring 2015 semester class project by Kate Hayden, Steffi Lee, Megan Quick and Ben Rodgers in a Simpson College journalism class taught by Professor Brian Steffen. Students met regularly for editing and guidance with Steffen and via Skype or in person with IowaWatch editors Lyle Muller and Lauren Mills. 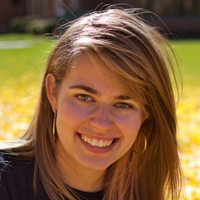 Kate Hayden is a senior multimedia journalism major graduating with a minor in political science. Currently residing in Indianola, Iowa, Kate will be joining the Charles City Press in May as a reporter. Kate is currently interning with the Record-Herald and Indianola Tribune and has previously worked with Simpson College Public Relations and Camp Okoboji in public relations and multimedia internships. 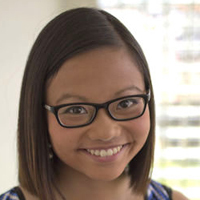 Steffi Lee is a senior multimedia journalism student from Anaheim, California. Currently a reporter and photographer at KCCI 8 News in Des Moines, she will be joining KGAN in Cedar Rapids in May. During her time at Simpson College, she’s also interned for the Record-Herald and Indianola Tribune, Simpson College Public Relations, KCRG-TV9 News and worked for The Simpsonian, the student-run newspaper. 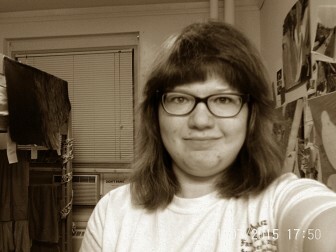 Megan Quick is a senior at Simpson College, majoring in multimedia journalism with a minor in graphic design. She is originally from Pleasant Hill, Iowa and currently works as a design intern at Gannett Design Studio in Des Moines. During her time at Simpson, she has also interned at the Iowa Newspaper Association and worked for ID Magazine, Simpson’s lifestyle publication. 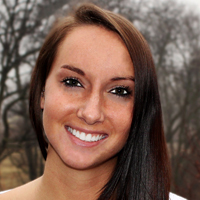 After graduation in May, Megan will be working as a graphic designer for Title Boxing Club in Kansas City, Missouri. 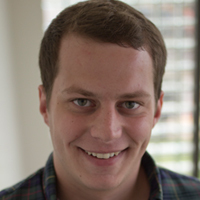 Ben Rodgers is currently a senior at Simpson earning his degree in multi-media journalism. Ben is a native of Ottumwa, Iowa. In his time in journalism he has been able to intern at The Carroll Daily Times Herald and The Des Moines Register. Crohn’s disease: The Crohn’s & Colitis Foundation of America describes Crohn’s disease as a chronic inflammatory condition of the gastrointestinal tract most commonly found in the small bowel and the colon. There is no known cure for the disease, which can sometimes lead to life-threatening complications. Symptoms include fatigue, loss of appetite and weight loss. Postural orthostatic tachycardia syndrome (POTS): Dysautonomia International defines the syndrome by an increase in heart rate of at least 30 beats per minute within ten minutes of standing, referred to as orthostatic intolerance. Symptoms can vary drastically from patient to patient, but common symptoms include chronic fatigue, headaches, nausea, diminished concentration, chest pain and shortness of breath. Juvenile arthritis: Arthritis is a family of musculoskeletal disorders that destroy joints, bones, muscles, cartilage and other connective tissues and can impede or prevent movement, according to the Arthritis Foundation. The term juvenile arthritis is used to describe cases in patients under 16 years old. While there are different types of juvenile arthritis, the most common is juvenile idiopathic arthritis, in which children experience swelling in one or more joints for a minimum of six weeks. Autism spectrum disorder: Autism spectrum disorders, as defined by the American Psychiatric Association’s Diagnostic and Statistical Manual of Mental Disorders, include a range of developmental disorders that impact communication, emotions, difficulty relating to others and repetitive body movements or behaviors. The spectrum now includes a range of disorders that were previously separated into different classifications, such as Asperger syndrome. Cyclic vomiting syndrome (CVS): Cyclic vomiting syndrome puts patients through severe, repetitive vomiting cycles with seemingly no cause. The syndrome, formerly thought to affect only children, affects all age groups and may be related to migraines, according to reports by the Mayo Clinic. Vomiting cycles can last for days at a time and alternate between symptom-free timeframes. Because vomiting is a symptom of many different disorders, the syndrome is difficult to diagnose.